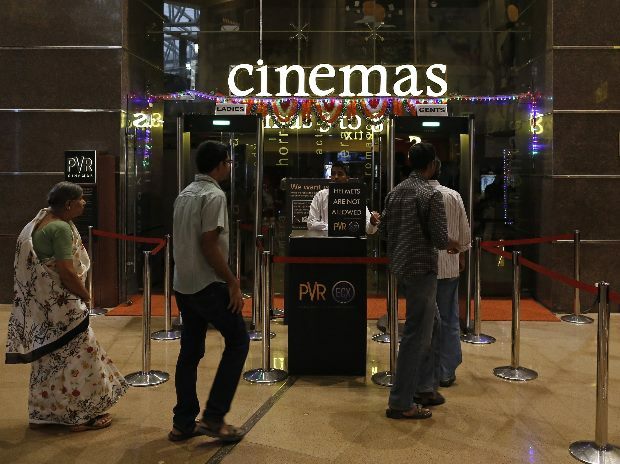 Shares of multiplex chain operator PVR were trading near its record high at Rs 1,643, up 2 per cent, in an otherwise range-bound market on the expectation of strong December quarter (Q3FY19) results. The stock of PVR was 1 per cent away from its all-time high of Rs 1,660 recorded on April 28, 2017 in the intra-day trade. PVR has outperformed the market by surging 41 per cent from its recent low of Rs 1,165 on October 5, 2018. In comparison, the S&P BSE Sensex has gained just five per cent during the period. The company had reported a 31 per cent year-on-year (YoY) increase in consolidated net profit at Rs 33 crore for the second quarter ended September 2018 (Q2FY19). Its total income during the period increased 28 per cent to Rs 714 crore on YoY basis. According to analysts, PVRL is set to benefit from its unmatched presence in tier-1 cities, expansion in the South and an improved content pipeline. EBITDA margin expansion is expected on the back of strong ticket sales, food and beverages (F&B) revenues and an uptick in ad revenues. Blockbuster movies and full-quarter benefit of SPI should drive revenue/EBITDA growth at 42 per cent/46 per cent YoY for PVR, according to Motilal Oswal Securities. “PVR (including SPI cinemas) is likely to report robust 42 per cent YoY consolidated revenue growth on the back of strong 20 per cent YoY growth in ticketing revenue for PVR (ex- SPI cinemas) — led by the launch of new screens, better content driven uptick in overall admits, and modest 1 per cent YoY average ticket price (ATP) growth, strong 21 per cent YoY F&B revenue growth for PVR (ex-SPI cinemas), despite around 5 per cent YoY decline in SPH (spending per head), and consolidation of SPI Cinemas,” the brokerage firm said in December 2018 results preview. “We estimate overall revenue, EBITDA and PAT growth to be strong at around 42 per cent, 48 per cent and around 59 per cent, respectively, YoY (including revenue from SPI Cinemas), primarily led by robust box office collections, pick up in F&B offerings and strong uptick in ad revenue,” Edelweiss Securities said in result preview. PVR clocked a strong quarter with the release of star-studded movies like ZERO, Thugs of Hindostan, 2.0 and Simmba which provided strong opening day collections and attracted good footfalls. Also, movies like Andhadhun and Badhaai Ho sprung a surprise, contributing substantially to box office collections, it added.